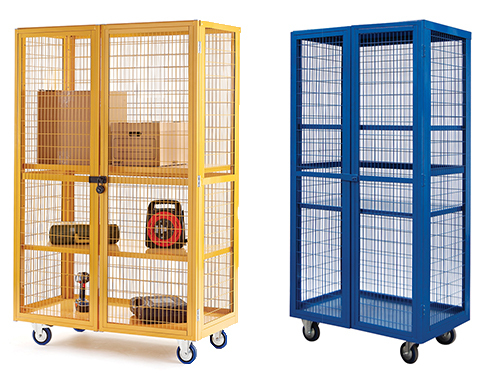 Our multi-purpose storage cages are of modular design, allowing for easy DIY construction and incredibly flexible usage. Equally at home either inside or outside the warehouse and are designed to protect goods, gas bottles or chemicals against vandalism and theft. A Galvanised finish option to the steel metal mesh panels makes the cages suitable for outdoor use, or a powder coat finish for indoor applications. 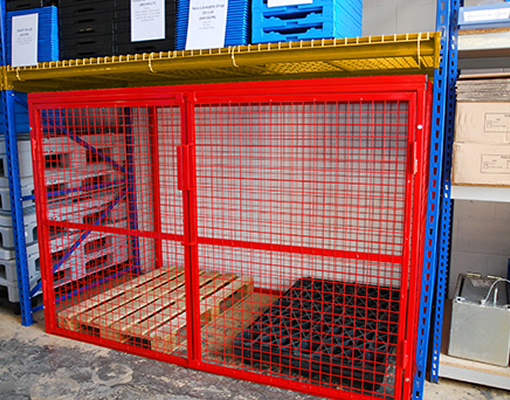 Alternatively, if you require a more specific application then we are able to supply bespoke cages. Please fill out a contact form for a quote. We also have created the Gas Cage Calculator tool with specific bottle types, allowing you to easily find what size cage you need.